Ocean Front vacation rental in Pompano Beach, only one block from the beach surrounded by several fantastic options to nearby restaurants and bars. This vacation rental is located in Pompano Beach which recently underwent an area renovation causing a surge in popularity and new businesses. The beach at Pompano Beach is a wide (100-150 yards), mile-long stretch of fine, white sand running from Atlantic Boulevard north to N.E. 16th Street. The beach offers water sports, sand volleyball, swimming, fishing, boating, kayaking, sailing, a playground, a boardwalk and picnic grounds. This large one bedroom vacation condo rests nicely across the street from Pompano Beach. The stylish new furnishing and appliances create a calming emotion as it has been updated with contemporary design throughout. The main bedroom has a new queen bed, fresh linens and a plasma Tv for entertainment. The family room is to retractable couches that open into twins beds for guests. The kitchen is remodeled with new appliances, cookwares and any items you may need to prepare a meal. 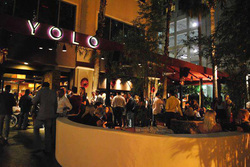 Their are several casual and fine dining options in the area, consider cocktails at Houston’s while you watch the boats pass along the famous Florida Intracoastal waterways or perhaps a locals favorite for live music and a casual atmosphere at Briny Irish Pub. This property offers excellent access to Pompano Beach golf course should you wish to arrange a tee time- don’t forget Galuppi’s banquet onsite for Sunday Brunch- it’s fantastic. The public pier is open 24 hours a day, 7 days a week and includes a concession area. $2.65/adult and $1.06/child to fish. Lifeguards are on duty from 9:00 a.m. to 5:00 p.m. daily. Boogie boarding is permitted everywhere on the beach. Surfing is permitted north of the pier only. Wrist or ankle leashes are mandatory. Scuba diving and snorkeling is permitted everywhere off the beach. Click here to view our area Reef Map. Catamarans and sailboards may be launched at N.E. 16th Street and are required to stay 200 yards off the public beach. Boats and jet skis may be launched at Alsdorf Park—N.E. 14th Street Causeway and the Intracoastal. No dogs are permitted on the beach, but pets may be walked on the half-mile long boardwalk. Surf chairs for the handicapped are available at the lifeguard station. This property is central to an assortment of restaurants such as Houston's, Briny Irish Pub, Sand's Harbor Patio bar, Bru's Room each with a variety of dining options. The entire beach area has been renovated along with incentives for local businesses to thrive as a perfect family and friend destination. 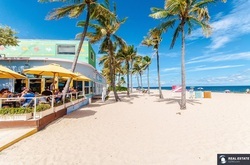 Near the north you have full access to Deerfield Beach which is quite popular with such places as Jb's on the Beach and The Whale Rib (featured in diners, dives and dumps) and 2 Geogre's a popular location for boating and live music. 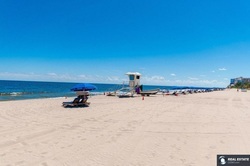 To the south you have easy access to Lauderdale by the Sea another great beach town for families and travelers alike. Their are several popular restaurants such as famous Aruba's Beach Cafe, The Village Pump and Oceans 101. We will have downloadable area guides very soon and as always we're thrilled to assist in any requests for motorized sports, boats, and dining suggestions. Lauderdale by the Sea has a variety of restaurants and locations including a popular beach and the fishing pier. People from around the world travel to this wonderful beach town and enjoy the warm weather and casual lifestyle. At VacationRentalGizmo we can be caught enjoying dinner and drinks at Kaluz on the Intracoastal and Blue Moon Fish Company. 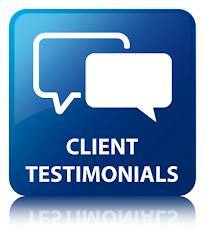 We also enjoy others closer to the beach such as Arubas Beach Cafe, The Village Pump and Oceans 101. If you need to pack a lunch for the beach consider LaSpada’s sandwiches- they are fantastic, fresh cut and hearty. For those of you that enjoying snorkeling VacationRentalGizmo suggests the underwater world of this three-tiered reef is waiting for you. Visitors to Lauderdale-By-The-Sea often see scuba divers entering the water to make a 'beach dive.' What the visitors may not know -- but what the divers do is that the Town has a living coral reef within 100 yards of its shoreline. The reef is so close to the beach, it is even accessible to snorkelers. Commonly referred to as the 'first reef,' this underwater habitat is home to Florida's spiny lobster, grouper, rust-colored barrel sponges, numerous species of coral, sea fans and a variety of colorful tropical fish. less than one quarter of 1 percent of the planet's marine environment, but are home to more than 25 percent of all fish species. These are just a few ideas from VacationRentalGizmo soon we will be launching a new website with downloadable brochures for our clients. We have extensive relationships throughout Fort Lauderdale and neighboring beach areas so don’t hesitate to contact us with questions or requests. Fort Lauderdale’s canals and charm have earned it the nickname “The Venice of America.” The beaches offer 23 miles of golden sand, lively with the spirited antics of happy vacationers. Sail the blue-green waters on a chartered catamaran, or dive beneath the surface to meet- and-greet the local sea life. Shopping and dining al fresco on Las Olas Boulevard is one of Fort Lauderdale’s greatest pleasures, thanks to adorable shops and prime people-watching. The “locals” refer to this area as the A1A strip due to the line of restaurants and bars that are across the street from the beach. Popular locations such as famous Elbow Room, LuLu’s Bait Shack, Casablanca’s and Rok bar are just a few. VacationRentalGizmo suggests a fun filled family day on the beach and as the night approaches the area tends to be more geared towards adults and nightlife. “Beaches! That's why you came to Fort Lauderdale and its 23 miles of beachfront are some of the best in Florida, whether you're here for the sun, ocean or people watching.” Tom K.
VacationRentalGizmo suggests a leisure trip on the water taxi which is only 10 mins away from most of our vacation rental homes. Cruise along the Florida Intracoastal stopping at frequent restaurants and bars during the day, disembark when you wish and hop back aboard when you are ready.